89 mins. Rated R for horror violence, and language including some sexual references. Damn, this movie made me want to visit a haunt real bad. In Hell Fest, Natalie (Amy Forsyth, A Christmas Horror Story, TV’s Channel Zero) returns to her former apartment to find that her best friend Brooke (Reign Edwards, 35 and Ticking, TV’s The Bold and the Beautiful) has rented out her old room to Taylor (Bex Taylor-Klaus, The Last Witch Hunter, TV’s Voltron), an old classmate who did not get along well with Natalie. Brooke won’t let Natalie sulk about it for long, though, because tonight is all about Hell Fest, a traveling horror theme park set up during the Halloween season. 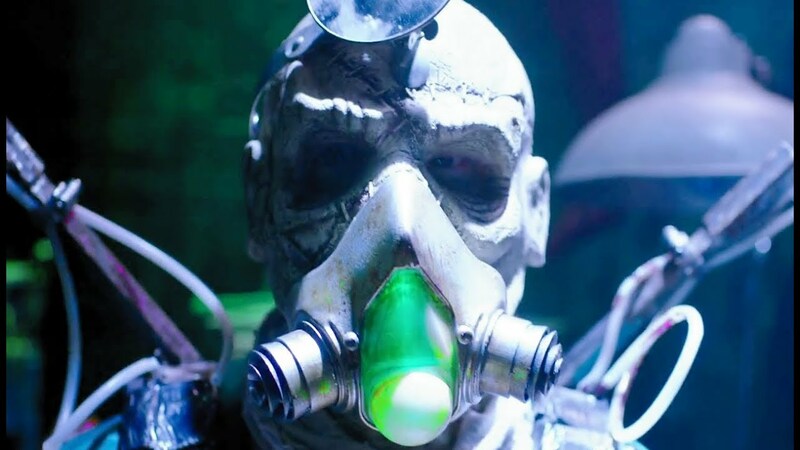 What they do not expect, though, is that a masked killer has entered Hell Fest this year, and he plans on taking out his murderous rage on Natalie and her friends. Hell Fest was a fun time, but it didn’t feel like it met its unique setting with a unique style. 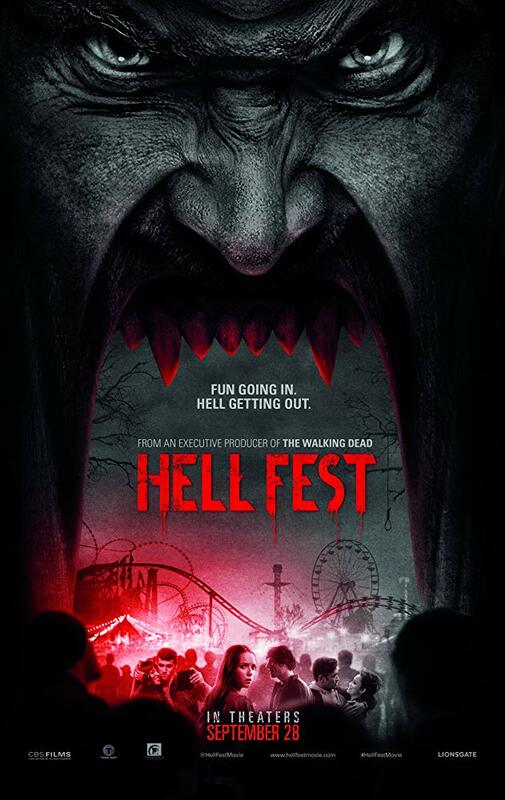 The Hell Fest setting is rather cool, but at times, it made the film feel very repetitive. As the haunts progress into more and more terrifying, I didn’t feel like the haunts actually became scarier. They became a little too distracting. The performances fluctuated between serviceable and awful. Edwards delivers some truly terrible lines. The only performance that I truly enjoyed was the quick near-cameo performance of Tony Todd (Candyman, Death House) as The Barker of Hell Fest. Todd knows how to get the most from his limited screen time, and he isn’t utilized greatly, but he is a lot of fun. The design of the killer in the film was made by Tony Gardner’s company, which also created the masks for Scream and Happy Death Day. The killer is rather unnerving, as is his limited background. Director Gregory Plotkin (Paranormal Activity: The Ghost Dimension) worked very well with atmosphere and visual appeal in the film. He does ride a line between cheesy and frightening with the world he has created. Hell Fest is a fun time and could make for an interesting franchise, but the first film stumbles pretty often. The performances don’t really work, the pacing is a little off, and the film feels repetitive. The look of the killer and the atmosphere surrounding him make for an enjoyable experience, but a flawed one nonetheless.